Have you ever needed a flowchart, but did not have the time or tools to build one Rapid Draw allows you to build a professional flowchart quickly and easily. Rapid Draw functionality was developed to make flowcharting quick and simple. You can even use common library objects to create new objects with Rapid Draw features. Select an object. Go to the Shape tab, and click the Rapid Draw button. You can add the new Rapid Draw object to the library by using drag and drop. Use the Rapid Draw arrows to create new objects automatically. 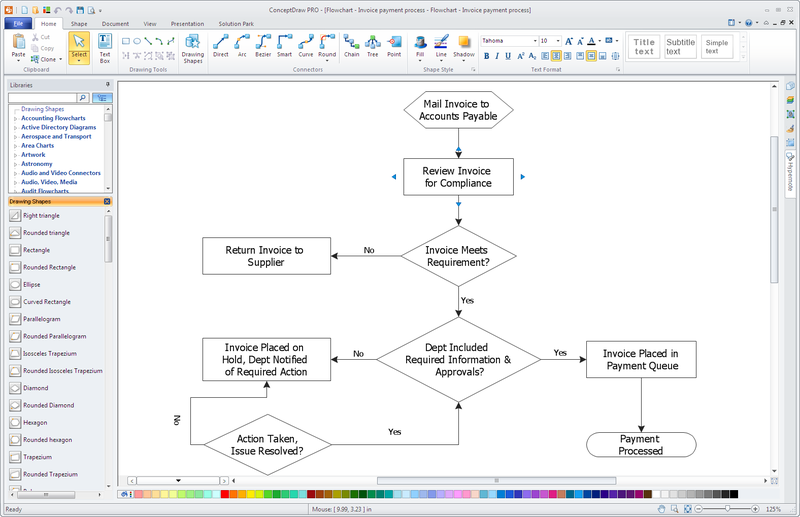 Result: You will save time by making flowcharting quick and simple due to Rapid Draw.